Spring is a great time to hunt hogs when vegetation is more sparse. Landowners also appreciate successful hunts before these prolific animals produce their large spring litters. 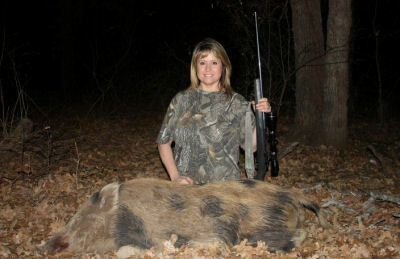 Texas is home to half the feral hogs in the United States … good news for hunters, bad news for everyone else. Bowhunters should take a special look at the opportunity offered by Texas’ four-legged tough-hided targets. Although they have a keen sense of hearing and smell, the bowhunter can often stalk a single pig from downwind and get a shot. Unfortunately for the stalking bowhunter, feral hogs are often found in groups called “sounders” making stalking a difficult proposition. 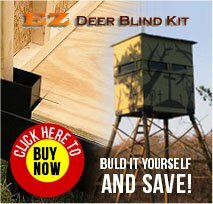 With so many eyes, ears and noses making it tough for a stalk, hogs are often hunted near deer feeders at existing deer stand locations. Also, since hogs are primarily nocturnal, lights are often used to aid the hunter in hunting them at night. Hog hunting is a valuable contribution to conservation. These destructive foragers ruin agricultural lands and native habitat and degrade riparian areas (the interface between land and a river or stream) far faster than nature and dedicated land owners can restore them. Check DeerTexas.com for various hog hunting leases in Texas teaming with feral hogs. With proper handling, they serve a very useful purpose filling a plate.